Intel DG doesn’t come under ECI purview, Punetha was told. DG, Intelligence, A.B. Venkateswara Rao. Hyderabad: Under fire from the Election Commission of India (ECI) for defying its order transferring three police officers including DG, Intelligence, A.B. Venkateswara Rao, and issuing a GO nullifying the ECI’s orders, Andhra Pradesh chief secretary Anil Chandra Punetha has reportedly named one senior IPS officer and a legal officer, who he said “convinced” him that the GO and the subsequent writ petition filed in the AP High Court (against the transfers) was legally right and tenable. He also said that both officials also told him that the DG, Intelligence, does not come under the purview of the ECI. The Andhra Pradesh High Court had refused stay on the ECI’s orders, paving the way for the transfer of Venkateswara Rao. The chief secretary was summoned by the Chief Election Commissioner (CEC) Sunil Arora on Monday and asked what led him not only to defy the ECI’s orders, but also to go as far as filing a writ petition in the court. 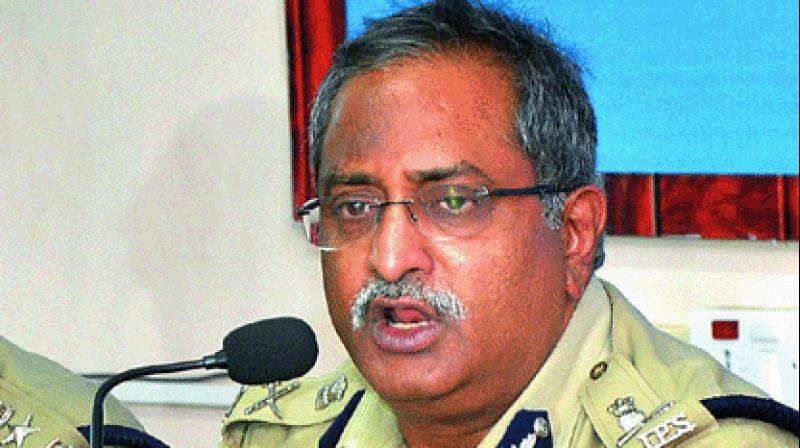 Sources close to Mr Punetha told Deccan Chronicle that the latter began by stating that he had duly followed the instructions of the CEC and issued GO 716 transferring Venkateswara Rao along with the SPs of Kadapa and Srikakulam districts — Rahul Dev Sharma and A. Venkat Ratnam — on March 26. But the next day, another GO (720) was issued cancelling GO 716 which mentioned the transfer of only the two SPs but not Venkateswara Rao. To a direct query by the CEC as to why the fresh GO nullifying the ECI’s orders (transferring the three police officials including Venkateswara Rao) was issued, Mr Punetha is understood to have named the top police official and a legal officer, saying they “convinced” him to issue the fresh GO (without Venkateswara Rao’s name) and also to file the writ petition. It is unclear whether the CEC is contemplating initiating any proceedings against the IPS officer and legal officer named by Mr Punetha. Sources said that the CEC was “quite annoyed” by the explanation offered by Mr Punetha, who has had an impeccable track record throughout his service.